These words have become part of our vernacular in America, the adult response that crushes the hopes and dreams of every kid who ever hoped to own a Red Ryder BB gun. They were made famous, of course, in the movie A Christmas Story , which has become an American holiday classic on a par with It’s A Wonderful Life and surpassing Miracle On 34th Street . The movie is based on the works of Jean Shepherd, weaving together a number of his best short stories with his childhood quest for the BB gun at the heart of the film. While millions have seen the film, far fewer have read his books on which it is based. And that’s a real shame. On a whim, I recently dusted off In God We Trust, All Others Pay Cash and read it once again. And once again, I sat and laughed out loud at stories that I have enjoyed over and over since I first read them when I was 12. Jean Shepherd is perhaps the very best raconteur of the 20th century, with an ability to paint a picture with words that very few can match. His depth of vocabulary, his turn of a phrase, his cynical yet sweet style are just perfect. If you even remotely like the movie, by all means, buy and read his books. 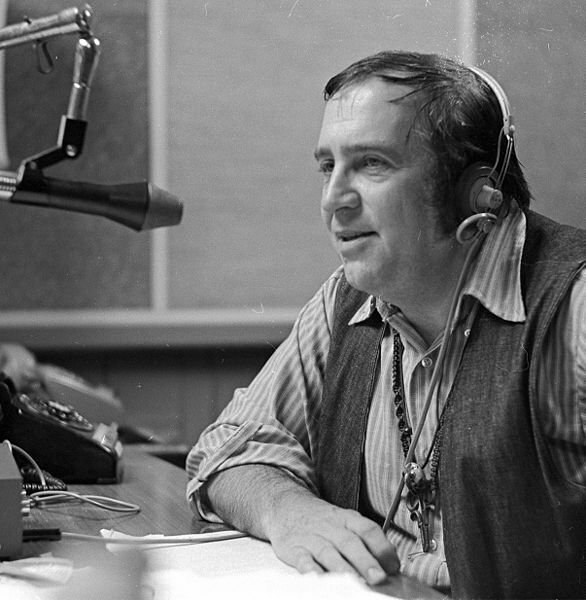 In the 60s and 70s, Jean Shepherd had his own radio show on WOR out of New York. Each year, he would travel down to Princeton for a live performance during graduation week. My Dad and I would sit in a sweltering lecture hall packed with hundreds of other people and laugh until we cried. His timing and language were just superb. Everyone knew the stories, and knew how they would turn out. He knew we knew. And we still laughed until our sides hurt. Many years later, while running the Unix data center for Harris Corporation, I began talking with Art Hayworth, one of the mainframe guys, about Jean Shepherd. I was astounded to discover that Art’s mother had been a fourth grade teacher in Hammond, Indiana (which became the fictional Hohmann in the book and movie) and had taught both Shepherd and his little brother Randy! Art had lived a few streets over from Cleveland Street, where Shepherd grew up. The fact that it was all real (sort of) made the stories all the more delicious. Beyond the pure enjoyment I get from his stories, Jean Shepherd reaffirms for me the power of the written word. He wrote the stories in In God We Trust in the early ’60s. They describe his childhood during the Depression, but as I read them 45 years later, they evoke an image as real and compelling as the day he wrote them, or even when he actually lived them, 70 years ago. The movie, as good as it is, cannot come close to creating such an experience. As we become immersed in broadband imagery, I fear we are letting go of words, with the best efforts of bloggers notwithstanding. At every level, success requires communication, and communication requires words. If you want to get really good at words, write them. Lots of them. And read lots of them, too. Starting with Jean Shepherd.